It's day two of my 2015 Favorites Week, and today we're going to be focusing on my running favorites! I'll be taking you through my favorites in every area imaginable- from clothes to races and everything in between. I hope you enjoy hearing about my favorites, and I would love to hear what you loved this year as well! P.S. - I included some Amazon affiliate links in this post. These are all items that I used and loved all year, and everything was bought with my own money! Thank you for supporting Gretch Runs so I can bring you better content in 2016!! 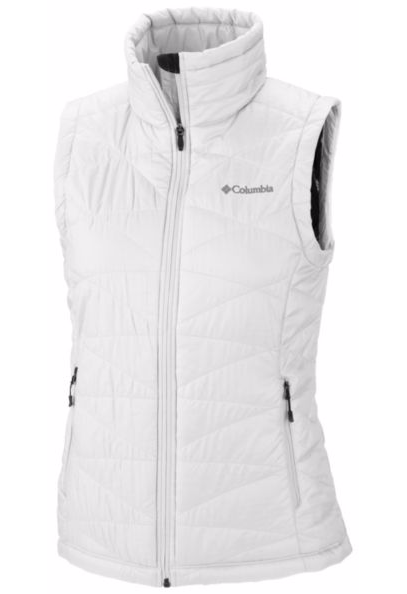 I got a bright white vest on a whim last winter at the Columbia outlet, and it's quickly become my favorite running piece. It's great in a variety of weather conditions, and I wear it almost on a daily basis. The one that I got was really inexpensive from the outlet mall, so I suggest heading there to find a good deal! Out of all of my bottoms, I wear my cheap Target capris the most! I love them for running, yoga, weight lifting, and for casual wear as well. These have held up so well over the past years that I've had them! I discovered these socks after doing a test run during a Run Club workout. We each got to try a pair of these socks, then got to keep them after the run. I love how thick these socks are! Not only are they really cushioned and compressive, but they also wick away moisture really well. They're perfect for every season, and I absolutely love them! I picked up a pair of these after a fellow blogger posted about a Kick Starter campaign for this brand. The socks in this line are so adorable, and they're also really comfortable! I love being able to support smaller companies, so I suggest checking out this line if you want cute, functional socks! This year I discovered the Pure line by Brooks. I love these shoes for a few reasons- they're really light weight and comfortable, and they're also pretty cheap! Right now these shoes are on sale for $80, but I've bought them as low as $60. For me, these shoes are perfect from every distance from a 5k to a half marathon! All of my PR's this year were from these shoes! These may not be considered shoes, but without them I wouldn't have run in the winter at all! I can't believe that it took me 24 years to buy these, but I will never be without them again. I did a full review of them here, and highly suggest trying them out if you want to run when it's icy and snowing! I may have only gotten this watch a month ago (and still owe a review on it!) but I'm in love! It's a great watch for running, but I also use it for swimming and can't wait to try it on the bike as well. There are so many cool features, and I'm so glad that I got it on the Black Friday sale! For the longest time, I struggled with fueling for races. I always got a stomach ache and nothing seemed to settle in my stomach. I decided to try Picky Bars (which are created by the amazing runner Lauren Fleshman) and I'll never go back! These taste great and have all natural ingredients. I especially love the caffeinated flavor (which I linked) but they're all amazing and don't upset my stomach at all! I loved this race for so many reasons. The course was so beautiful and easy to run, and I finally hit my goal of breaking 2 hours in the half. I also fell back in love with running thanks to my two new friends (my "guardian angels" as I think of them) who helped pace me for most of the race! I would suggest this race to anyone who's looking for a new PR, and I'm thinking of doing the full marathon in 2016! This was one of my favorite races this year, not because it was a PR or a particularly eventful race, but because it was my first time running in Central Park! 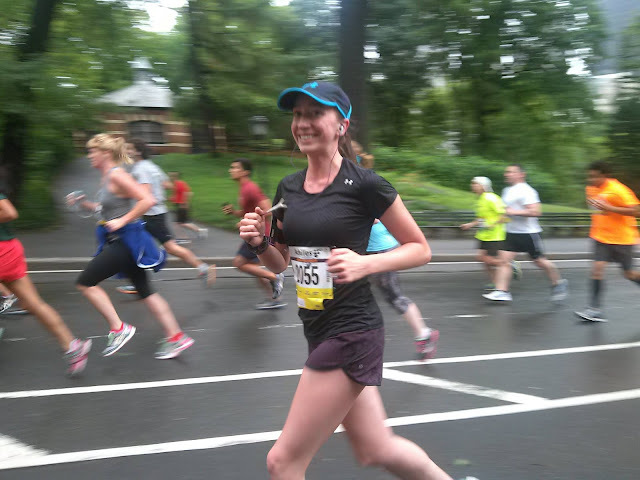 For my birthday, Dan and I took a trip to New York City and Philadelphia, and I got to run a race on my 25th birthday. It was the perfect way to celebrate (only a runner would understand why waking up at 6 AM to run a 5 mile race while it was cold and raining would be a great present) and definitely a highlight of the year! I love to switch it up at the track and try different workouts! I was so excited to find Lauren Fleshman's track workouts on the Strava blog, and this was my favorite! I really liked the mix of short and long intervals. I used this workout a lot when I trained for my half and it really helped! Runners- what was your favorite running product from last year? What is your favorite shoe right now? Okay.. 1st.. Loving that white Columbia vest! I've always wanted to get a vest, but haven't broken down & got one yet! My birthday is in a couple months, so maybe :) 2nd.. I love that vivoactive. 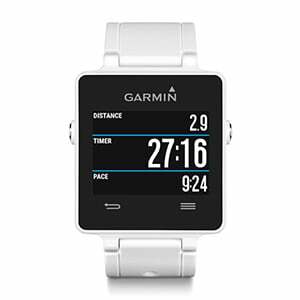 I love Garmin in general, I have a Forerunner 10 (simple to start out) & I love it. but, I've always wanted to upgrade. & I'm kind of obsessed with anything white these days! & lastly.. Picky bars.. YES! I've only tried one, it came once in my StrideBox.. and it was so good. I have yet to find them anywhere (need to make a trip to REI) as singles but I definitely want to.. I also have a sensitive stomach :( right now, Glukos bars before runs are what works for me! Loved this post! I almost bought Yaktrax after the last crazy winter we had...they seem to work pretty well. Love Target C9 line, wish I could muster up the courage to shop at Lululemon! Yaktrax work SO well! I almost wish I didn't start shopping at lulu because now I'm obsessed and nothing comes close to the quality and aesthetic! I got a white athleta vest for Christmas for myself (it was on BANANAS sale, I've been stalking it for a while--aka a whole year). Love my Yaktrax, I would be even be ok with needing to use the for running right now, as it would mean running! What a great gift for yourself! And I hope you'll be able to run very soon! Nice picks - I like the look of the Pure Flow 4s. I may have to give them another shot. Right now I am very in love with my Mizuno Wave Inspire 11s. They came out with a 12 and I feel like I should buy all the 11s up before they are gone. I like that vest too! The Wave Inspires don't work at all for my feet, so if those work for you then the pure flows might not be the right shoe. So funny how everyone has different feet and shoe preferences! Thank goodness there are so many options out there! These are all fantastic and we share a lot of favorites! Lululemon speed shorts and pureflows are my top and I'm about to get the new Pureflow5's I'm SO excited! Also, are those the saucony bullet capri's? Those are on my list as well! Great minds think alike :) I havent heard about the 5's! To say I'm excited is a huge understatement :D I am wearing the bullet capris...I love them! These are all great! I am looking into a new pair of YakTrax. I have some general walk ones that I got years ago, but I don't think they'll be much good for running. I've heard that for most people the walk ones are fine! I like that mine have a strap that goes across so they're more secure though! I really like that Columbia vest. 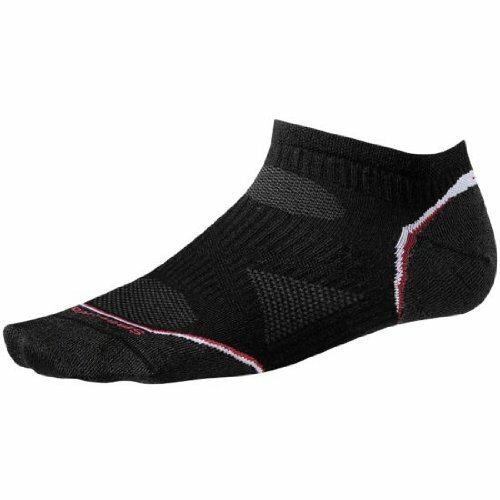 I had a pair of Brooks Pureflow and I felt they were too narrow. I have switched to Brooks Launch and I love them. thanks for the suggestions of your faves. i am looking for new shoes, so i'll def be checking out those!! The Pure Flow 4s are like heaven on your feet. I love them so much! Thanks for sharing your favorites! The Columbia vest looks super warm. Most memorable race this year was for sure the Chicago half marathon. Everything about it was so much fun and I'm in love with Chicago so much haha. They really are heavenly! I've done a race in Chicago and really enjoyed it as well. Great city to visit and run around! I'm running in those exact pair of Pure Flows now and I love them!! That track workout looks killer! I love the name of it. That's awesome. My favourite race was the Skagit Flats marathon, no doubt. Ugly course, but a PR nonetheless. I love those Lulu shorts too. 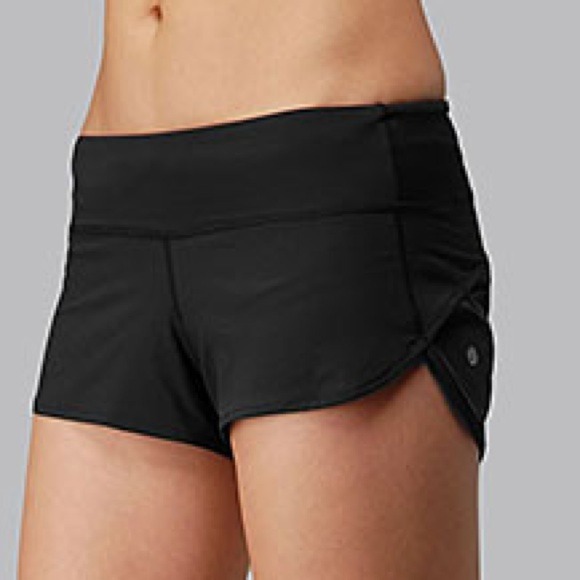 I also found really good shorts from Nike. They're cut just like the Lulu ones but just a teensie bit longer. They're the only ones that don't ride up (my thighs rub). Thanks for sharing! I was wondering which if the Yaktrax you got. I was considering getting the running ones, but they got terrible reviews. The trail version of my regular shoe worked great in snow & ice last year, but my size is sold out everywhere. I have had such great luck with the ones I got! I've also heard bad things about the runs so I'm glad I picked these. So easy to wear and really comfortable. Even as a non-runner, it's fun to read through your favorites! I will have to check out that sock company! Some of the girls in my dance class love to wear unique socks. I haven't really been into it but I think it would be fun one day to show up with something different! That's a great idea! They're super cute so I hope you find a good pair! oh i might have to grab a vest soon.. it hasn't gotten that cold here yet so maybe i'll wait till this winter is over (if it ever actually arrives). i'll also have to check out those capris, i'm always in the market for new capris. i used to run in a pair of brooks and absolutely loved them, i recently (as in march, oops) bought a pair of newtons and i don't know if i love them or not. i don't think i've put enough miles on them to really know, so i might check out those brooks. I use my vest all the time lately! The weather has been the perfect vest weather so I grab it pretty much daily. I used Newtons before and they didn't really work for my feet...kinda ruined my marathon last time I did one! I love the Speed Shorts too! My favorite shorts from this past year have actually been the What the Sport Shorts (lulu) - they make me feel like I can run faster, haha. Been meaning to try those Picky Bars...didn't realize they had caffeine! I have been considering the Brooks Launch, not sure if PureFlow is supportive enough for me. Great to know they are on sale! I haven't tried those shorts yet! They're really cute though :) Hopefully you find a shoe that works great for you! I haven't seen those Brooks yet! I'm currently wearing very old Brooks Ghosts...gotta get me a new pair! I really feel like I need a running vest in my life. I have one but it's fleece and not specific to running. I need more pockets and reflection. :) Happy New Year! I love the pockets on mine! It's not reflective, but the bright white definitely helps. If it's really dark out, I'll add on my reflective vest! Those socks are too cute! I am a Brooks Ghost 7 gal, but just picked up a pair of Asics for the first time in a while. The jury is still out.